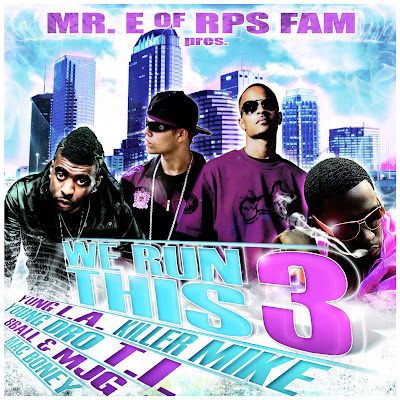 Leading Hip-Hop label “Grand Hustle” and German DJ/Producer Mr.E from RPS Fam represent, the new Mixtape “We Run This Vol 3”; a total of 26 hit bangers including new, exclusive and unreleased songs by some of the top Hip-Hop legends in the game: T.I., 8Ball and MJG, Killer Mike, as well as newcomers Yung L.A., Mac Boney, State House, Young Dro and, Baby Boy from the “Grand Hustle” label. This are the Artist forming the Grand Hustle Posse, and each track has its unique full of variety sound.  Therefor, “We Run This Vol 3” stands for one thing: an increasing diversity in the label – spreading sound. Stylistic variations, and beautifully decorated blends, scratches, hosted by the one and only Mr.E aka the German Luger makes this Mixtape a must have item! 8 ball & mjg killer mike mac boney Mr. E of RPS Fam Rich Kids Spodee T.I. - Grand Hustle young dro yung L.A.